There is substantial evidence of an ecological association between alcohol outlet density and violence, and this association appears to be strongest for the density of off-premise outlets. In these studies, however, all alcohol outlets are usually treated the same even though there are reasons to believe that all outlets do not contribute equally to social problems. What is lacking in the literature is a discussion of the specific characteristics of off-premise alcohol outlets that might explain the difference in temporally varying violence rates across different alcohol outlets. We collected immediate environment, outlet, staff, and patron characteristics on all off-premise alcohol outlets in Milwaukee, Wisconsin, using a systematic social observation instrument. In this study, we employed exploratory spatial data analyses and spatially lagged regression models to determine if the variation in off-premise alcohol outlet characteristics is related to temporally varying robbery density net of important neighborhood predictors of crime rates. We are currently finishing data collection and undertaking the analyses to determine which environmental, outlet, staff, and patron characteristics are associated with higher or lower rates of crime surrounding the outlet. 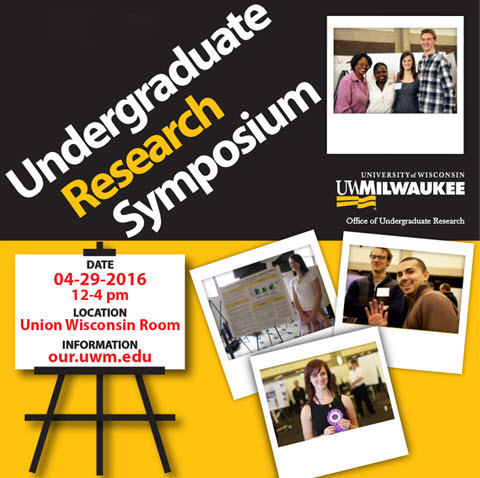 Results will be completed in early spring in time to present at the UWM Undergraduate Research Symposium. Our novel research will be important in identifying characteristics of off-premise alcohol outlets that put neighborhoods at greater risk of violence.